Young bands often make the mistake of thinking that expensive gear will make up for a lack of experience and originality. So it’s refreshing to see indie–folk duo The Folk Ups eschew shiny stuff and fancy production in favour of stripped down acoustic guitars, great playing, singing, songwriting and recording. Comprising the multi talented Ryan Harling on vocals, guitar, banjo and harmonica, and Jasmine Kelly on vocals, guitar and harmonica (and Shelby the Suitcase Drum), the pair belie their ages with an amazingly precocious sound and songwriting ethos. 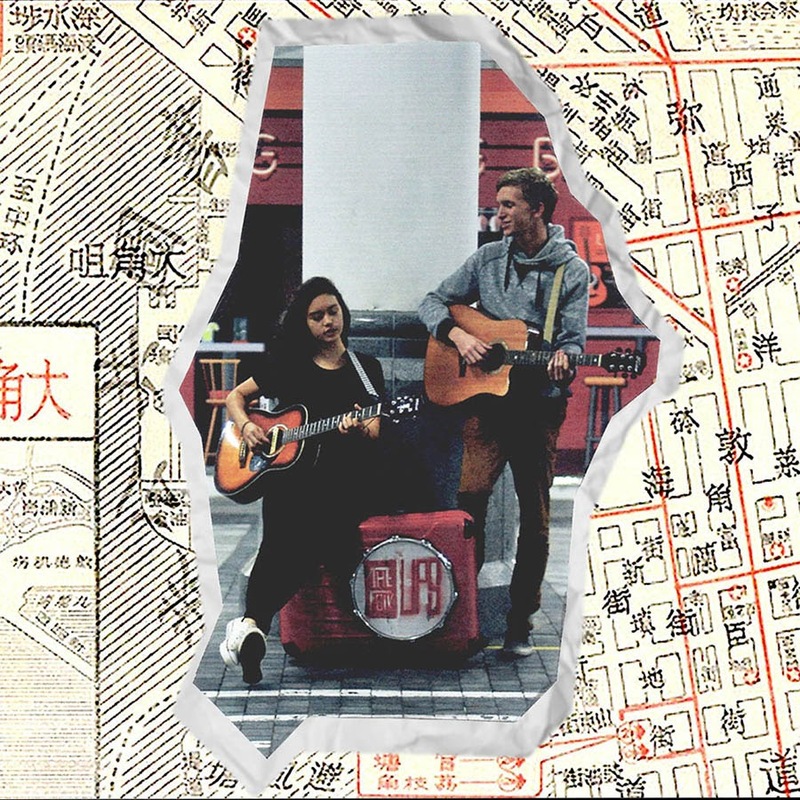 Formed in Hong Kong, Ryan and Jasmine were winning youth talent competitions when they realised that their soulful, enchanting material might have wider appeal. Soon they were taking their musical love into town and indeed were the only student band to perform at last year’s Clockenflap. The two have now produced their first EP funded on the back of regular busking, and calling in favours from their talented friends. But everyone needs a bit of help, especially when you’re young, and the raw talent they exude is entirely their own. Harmonicas and sweet acoustic guitars, with a to-and-fro vocal delivery – this initially sounds like nothing you haven’t heard before. And yet the charming low-fi way it sticks together and the effortless, almost naïve vocal interplay between the two is just impossibly sweet and moving, almost all over two or three simple chords. Fabulous slice of alternative Americana. Darkly melodic, this is a murder ballad in the time-honoured tradition of Nick Cave and Kylie Minogue’s “Where the Wild Roses Grow” and Johnny Cash’s “The Long Black Veil”. Again with that vocal interplay, fingerpicked guitars and smooth, poignant violin sliding in for atmospheric good measure. Another slice of Americana, faster paced, again the lovely harmonies and swapping lines, bitter-sweet, yet you can feel the love in this one. Lovely slow, romantic, catchy, dreamy evening on the veranda, couple of mint juleps, scent of rosehips and hydrangea in the air. Divine. Slower number, with the pace picking up, and that kick drum and a bit of tambourine come in. But with a poppier, brighter chorus, you can feel the love in this one too. Again very evocative, very Deep South. Slows down deliciously right at the end. Another sweet bit of acoustic playing, some nice soloing, and Jasmine’s vocals especially dreamy. Great vocal interplay towards the end. A great way to end things on this lovely EP. With both classic and more current influences, The Folk Ups have achieved more with a couple of acoustic guitars, a kick drum and low-key talent and originality than most older and well-heeled bands can dream of. Don’t look too hard for hit singles. While unquestionably catchy, The Folk Ups are more of a mood, or an atmosphere. But it’s no less enchanting for that – dreamy and ephemeral, bringing to mind romantic nights with your lover, whispering sweet nothings, as a warm summer evening drifts around you. I have a feeling that in time we’ll see the songwriting strengthen yet further. Can’t wait. You can download or listen to the EP here.